We offer performance upgrades for most popular makes and models, custom upgrades for one-off applications and basic tune upgrades to suit a standard or modified vehicle. This would include an extensive pre-dyno inspection and custom tuning on our Dyno Dynamics 4WD Dyno. Dyno tuning is the ultimate method of ensuring your engine package is making optimum power and efficiency across the entire rev range. We tune for cold and hot start, varying load/throttle applications and fuel type to suit your individual needs and preferences. For the more serious horsepower fix, we have vast experience tuning aftermarket Engine Management Systems. Our vast knowledge of systems includes EMS and HP Tuners. With 20 years of engine tuning and diagnostics experience we can tune almost anything. 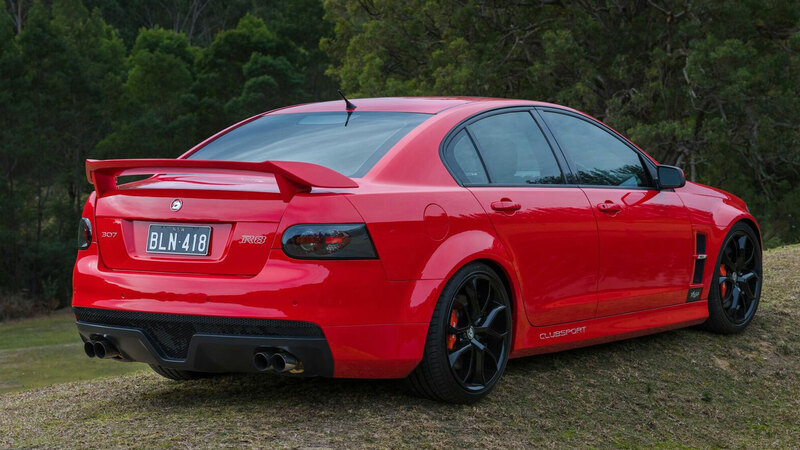 We can custom remap most factory engine management systems including Ford and Holden. Basic tune upgrades to suit a standard or modified vehicle. 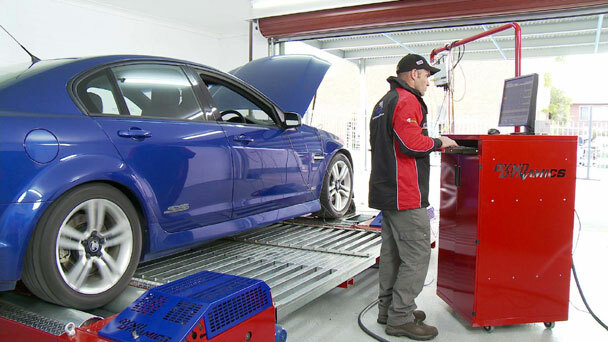 This would include an extensive pre-dyno inspection and custom tuning on our Dyno Dynamics 4wd Chassis Dyno, either remapping the factory ECU where possible or fitting and tuning an Interceptor style ECU. We also perform cam or cam and head packages, custom exhaust systems, Super Charging, engine builds to suit customer requirements, engine conversions, brake and suspension upgrades. We have joined forces with Advanced Vehicle Mapping – this innovative system lets us tune the vehicles own computer system, This is a big step forward in modern tuning for most makes and models diesel and petrol vehicle, Allows us to carry out performance tunes or economy tunes for better fuel economy.. When a manufacturer develops a new car they have to take into consideration all of the conditions it may be subjected to in all of the regions in which they intend to sell this model. This means instead of just optimising the ECU’s program or ‘map’ to deliver the best performance or the most fuel efficiency they have to make compromises to the map to take into account these potential differing operating conditions. These could include sub-standard fuels, extremes in temperature and altitude, differing emission laws and even the possibility that vehicle may not be serviced on a regular basis and in accordance with the manufacturers recommended instructions. We specialize in diesel and petrol performance offering diesel performance chips, flash tunes for petrol engines as well as turbo charging and inter-cooling. We also have the latest technology in Dyno tuning as we have the only all wheel drive Dyno between Canberra and Wollongong. We specialize in the following Upgrades (tuning, exhaust, suspension, brake), cold air intakes, exhaust tuning, cam & head packages, carbarettor & ignition upgrades. We also specialize in turbo & super charging And we use the following distributors and suppliers – VCM suite and SCT X4. We have joined forces with Chip Tuning/DPF Solutions – In short we are the experts in Remap engine tuning. We can make your cars performance unique, run smoother, make it more efficient and ultimately perform better! Our team of highly skilled and trained staff we have some of Australia and Europe’s best ECU tuning specialists working with us who provide programs for manufacturers, race teams and the commercial industry. With 20 years of engine tuning and diagnostics experience we can tune almost anything. We can custom remap factory engine management systems including Holden (L98, L77, L51, L52, L53) and Ford (XR6, XR6 turbo, XR8,Focus, Territories). We also have vast experience tuning aftermarket engine management and systems like EMS, Haltech, Motec and Wolf.